The ideal compact storage solution. 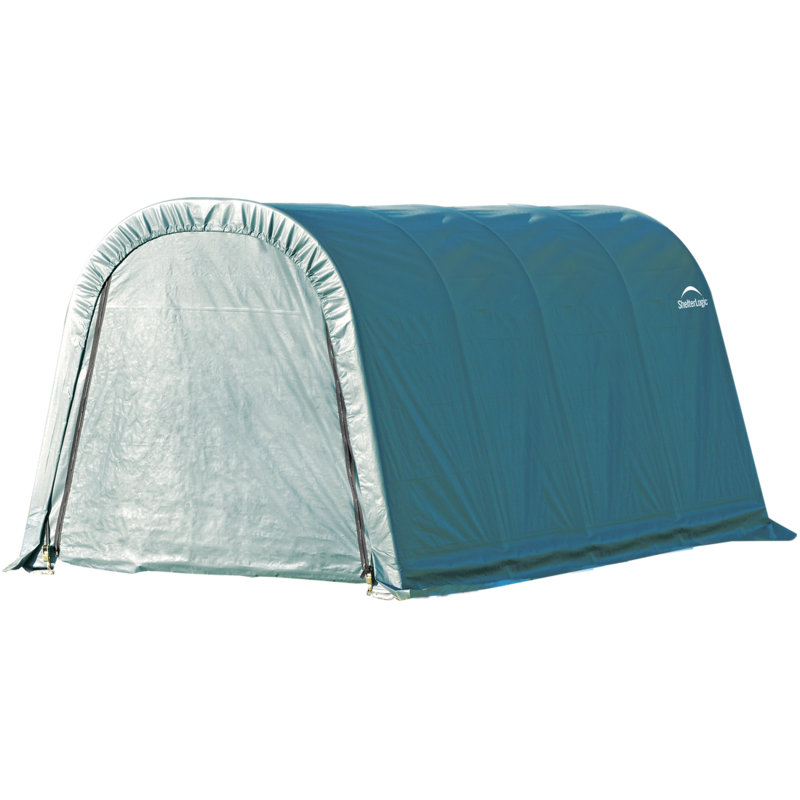 Frame constructed of heavy duty 1-5/8 in. diameter steel. Patented ShelterLock® stabilizers at every rib connection for rock-solid strength and stability. 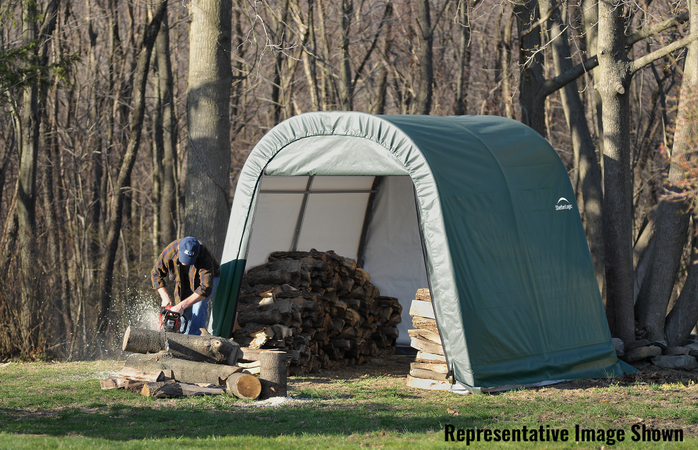 Ripstop tough advanced engineered polyethylene fabric cover is UV treated inside, outside, and in between. 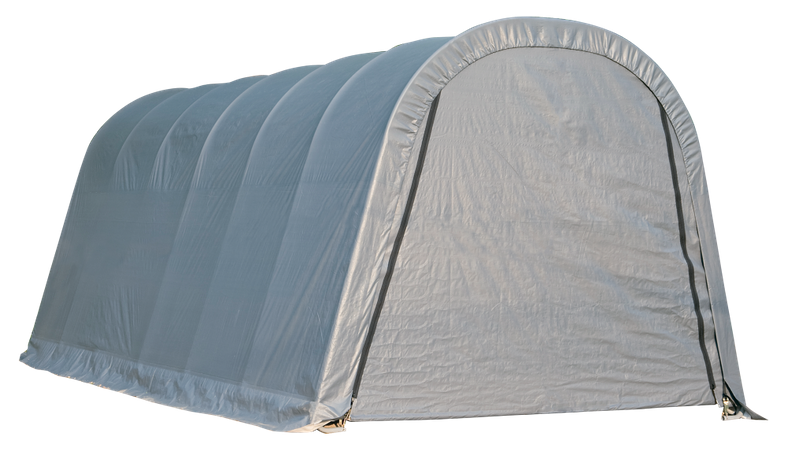 Heat welded seams, not stitched, are 100% waterproof. 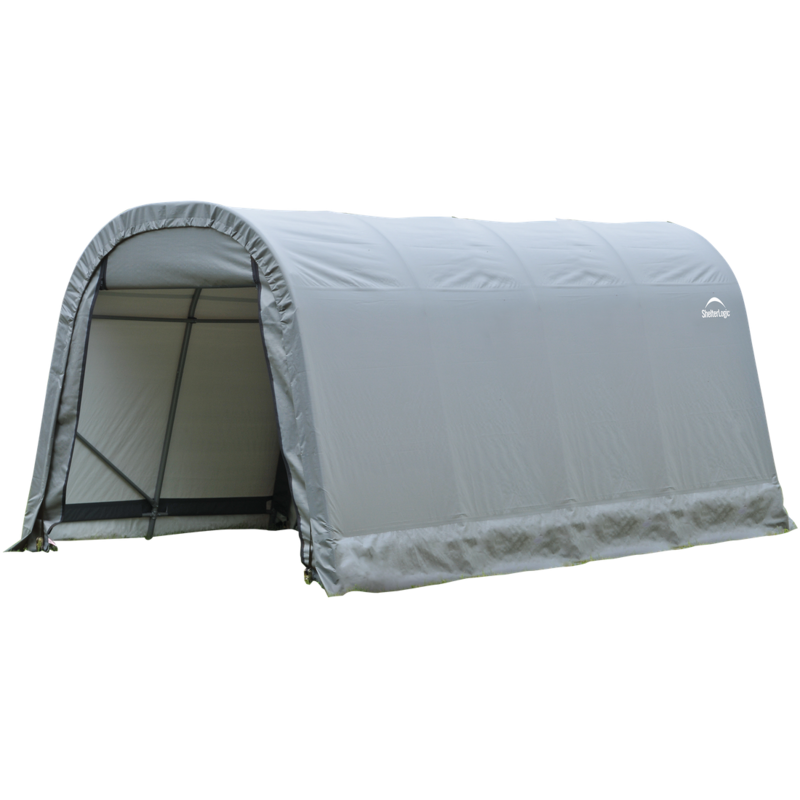 Ratchet Tite tension system and Easy-Slide cross rails keep the cover smooth and taut. Bolt-together hardware at every connection point ensures maximum strength and durability. Premium 8' wide powdercoated steel frame, fabric shelters in three sizes. 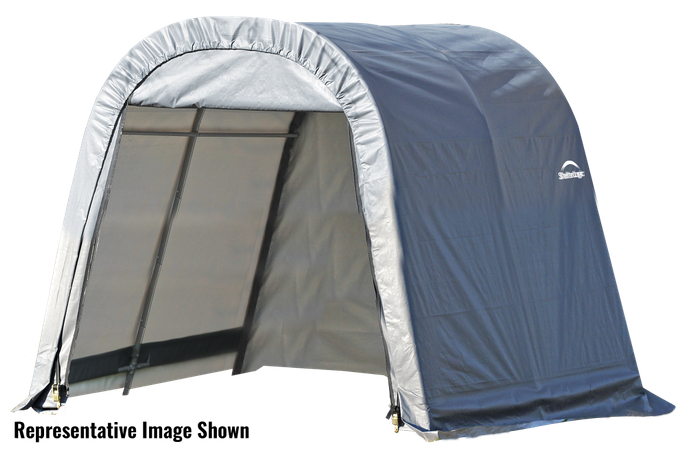 Premium 10' wide powdercoated steel frame, fabric shelters in three sizes. 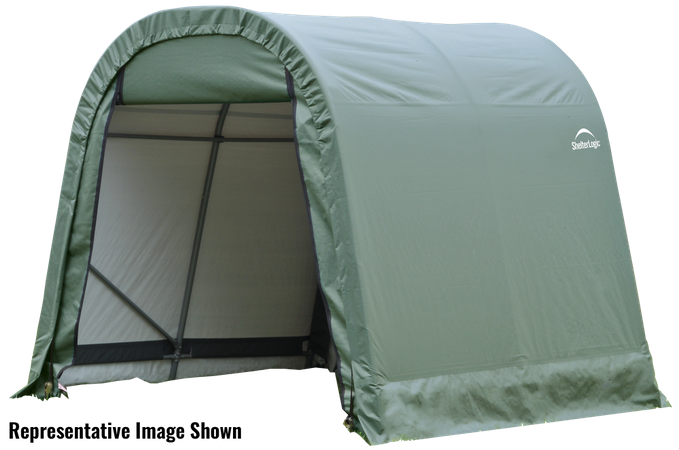 Premium 11' wide powdercoated steel frame, fabric shelters in three sizes. 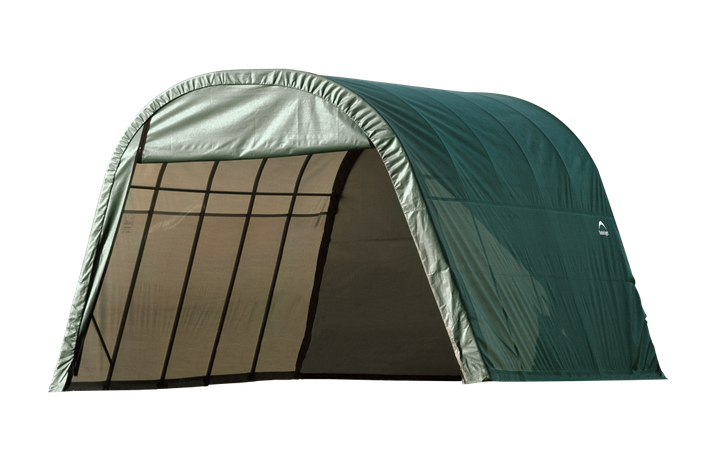 Premium 12' wide powdercoated steel frame, fabric shelters in three sizes. 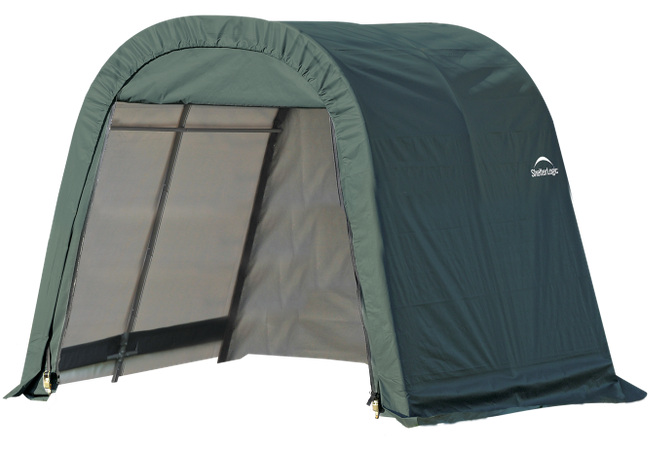 Premium 13' wide powdercoated steel frame, fabric shelters in three sizes. 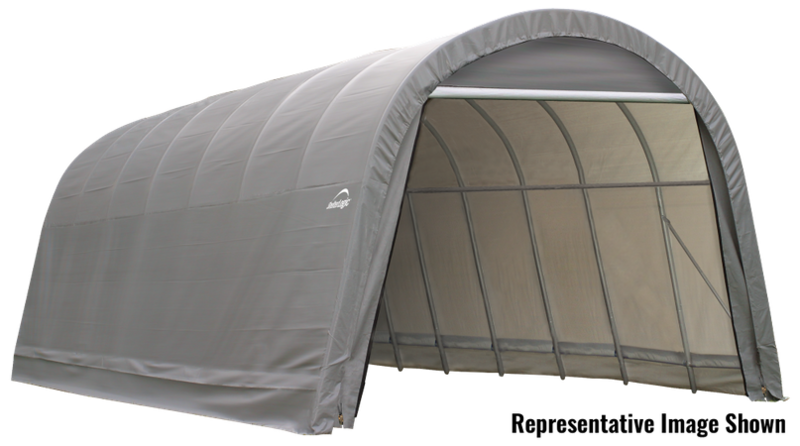 Premium 14' wide powdercoated steel frame, fabric shelters in three sizes. 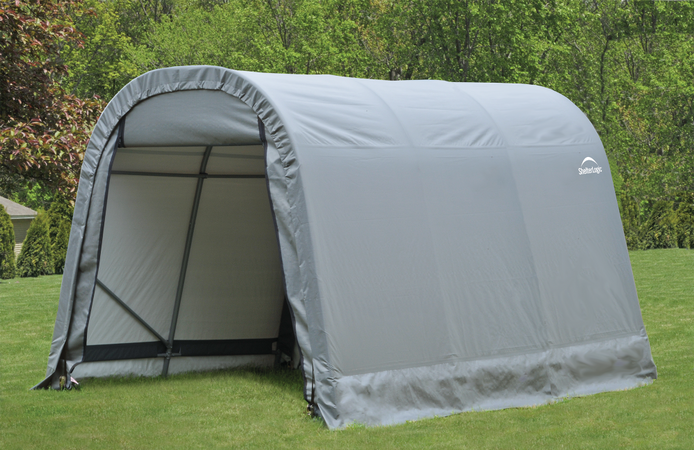 ShelterCoat™ garages are the ideal compact storage solution for ATV's, lawn and garden equipment, small tractors, patio furniture, pool supplies, tools and equipment and bulk storage. 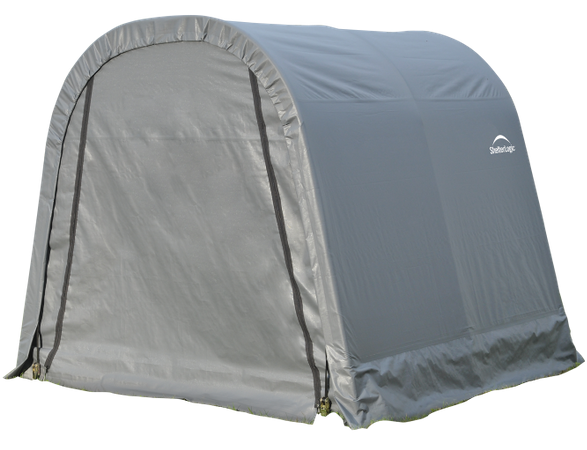 Choose from the largest selection of premium powdercoated steel frame, fabric shelters in the industry! 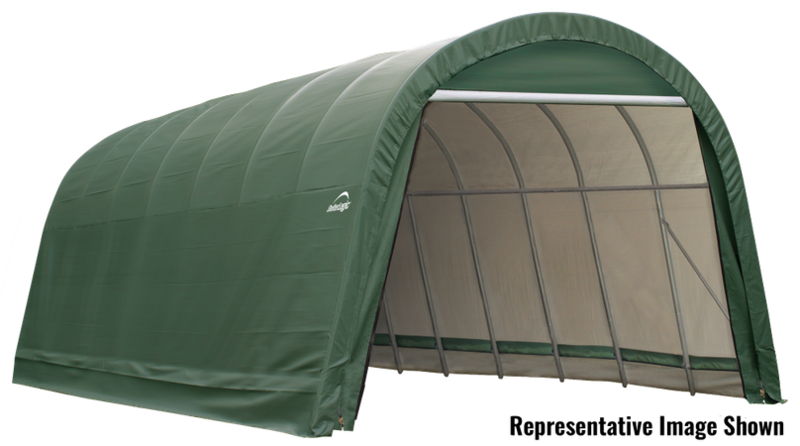 With THOUSANDS of choices we have a shelter to custom fit any storage need at an affordable price. 8 x 8 x 8 ft.
8 x 12 x 8 ft.
8 x 16 x 8 ft.
10 x 8 x 8 ft.
10 x 12 x 8 ft.
10 x 16 x 8 ft.
11 x 8 x 10 ft.
11 x 12 x 10 ft.
11 x 16 x 10 ft.
12 x 24 x 8 ft.
12 x 28 x 8 ft.
13 x 20 x 10 ft.
13 x 24 x 10 ft.
13 x 28 x 10 ft.
14 x 20 x 12 ft.
14 x 24 x 12 ft.
14 x 28 x 12 ft. Select Your Colour This field is required.